What's Triggering Your Public Speaking Fear? We've all been there - the racing heart, the sweating palms, the cotton mouth. Many clients call me because they're nervous or experiencing public speaking panic. The mere thought of public speaking can trigger anxiety in some presenters. May is Better Speech and Hearing Month and it's a good time to assess the state of your speaking skills. What do I see when I think of myself speaking? What do I say to myself? How do I think I'll feel when I finish my speech? I would bet a lot of money that the answers to those questions are negative. The act of public speaking is neutral. We charge it with anxious energy by the way we think. Successful speakers know that confidence begins in the mind. So in honor of Better Speech and Hearing Month, resolve to watch this public speaking affirmations video everyday. The only thing that's triggering your public speaking fear is you. Rolando Blackman, former NY Knick, calls Diane's knowledge "... absolutely tremendous!" Subscribe (iTunes coming soon | RSS) to Diane's podcast and begin to improve your public speaking skills! You're at a meeting. It could be a company status meeting, a networking event, or a formal presentation. The person takes the floor and suddenly your eyes glaze over. You start to yawn and fidget in your seat. A team member lets out an exasperated sigh. Two people are making eye contact as if to say, "Get a load of this". You wonder "What the heck is this person talking about?" Will they ever get to the point? That's what happens when a speaker is unclear. The presentation loses impact and the message, if it's heard at all, is quickly lost. What remains is a negative perception. It's not the message-it's the way you communicate the message that determines whether it's heard and accepted. To communicate with clarity, here are four tips that you can apply to any situation. Know your outcome. While this sounds obvious, it's not. I coach many leaders and business professionals and they're not always clear about their expectations..And that's why the message is unfocused. To gain crystal clear focus, start with your outcome. At the end of the presentation, what do you expect? Agreement? A sale, a next appointment? State your purpose. Your purpose is not always the same as your outcome. For example, your outcome may be to close a sale in one meeting. But you wouldn't want to say, "Today, my purpose is to sell you my product." A purpose statement is a sentence that clarifies what you'll be doing in the meeting. "My purpose is to demonstrate the importance of cyber security and give you some tips on how to safe guard your data" Don't assume the listeners know the purpose of the meeting. Present a visual agenda. People need a roadmap and the agenda will keep you on track. When you start to go off on a tangent, look down at the agenda and come back to the topic. Be sure to assign a time for each agenda item. Timing each item will help you monitor yourself. Cite an example, not a story. Storytelling is powerful, but if you tend to be verbose, use short examples instead. When making a point, follow it with "for example," or "to illustrate...". Giving examples will connect the points for the listeners. Use the PEP formula. Make a point, give an example, underscore the point. If you tend to be long winded, use these 4 steps in your next presentation and you'll speak with clarity. What is the equal opportunity communication that favors no gender? In every presentation skills seminar and in each initial executive speech coaching session, I spend time demonstrating the business handshake. Why discuss something so basic that we do every day? Because business can be lost due to an ineffective handshake. Just like two dogs sniffing each other, a handshake is the first point of contact. And many people don't realize the handshake is a presentation. To learn how to shake hands and use gestures for maximum impact, watch this TEDx video by Allan Pease. In 2014 presentation skills will reign supreme. Leaders and entrepreneurs will need to be more visible across different media platforms. Speaking is the new competitive advantage and the bar has been raised. Here are the trends in presentations that I predict for 2014. Broadcasting skills - Whether you're an entrepreneur or employed by a company, expect to have your 15 minutes of fame.Today's presenters need broadcasting skills. Media training will become a vital success skill even for those who do not speak to the press. I'm currently coaching a client to lead quarterly webcasts. Five years ago this senior executive wasn't doing any broadcasting. This client has since been filmed for executive promotional videos. Video presentations will increase in popularity. I use eyejot.com to send quick video emails. Videos can be very effective or very detrimental if you have weak presentation skills. Mobile presentations - Mobil technology is exploding and the number of apps is growing. This will require adjustments in the way we communicate. Slide shows and websites must be adjusted for mobile devices.The key word in presentations is portability. On a personal note, I now videotape my coaching clients on the ipad. The quality is as good as a video camera and it's easier to transport. Increased Need for Speaker Training - The need for excellent presentation skills will increase.due to the competitive nature of the market. Products and services can quickly become commodities and in order to be persuasive, presenters will need to know how to capture and hold the ear of the listeners. Self marketing presentations - Personal branding will become even more important. In a crowded market place where good jobs are at a premium. Job candidates will have to master marketing and selling. That means understanding what makes them unique and how to position themselves, their message, and their value with clarity and impact. Lack of confidence will be the deal breaker. Speakmarketing will be a growing factor for small business success. Presently, I'm coaching small businesses to develop webinars to grow their businesses. Storytelling - Telling stories will no longer be the domain for the talented few. Leaders will be challenged to learn the art of storytelling to develop trust, express their vision and to lead their teams. And storytelling skills will be the differentiater in the job interview.Certain companies such as Pepsico, have a culture of storytelling. The best interviewers will invest in public speaking coaching to learn to tell their story instead of presenting their resume. Authenticity - Audiences are more sophisticated and less tolerant than ever. They want to know who the speaker is as a person.Do they walk their talk? Audiences will value presenters who are real versus a just-the-facts approach. I was asked to coach somebody who had a well-crafted PowerPoint deck but delivered it like a talking head. Listeners are thinking "Who are you?" Increased Audience Interaction - The key word is connection. In a society where there is less time for socializing and more stress, people want to have an experience and participate with the speaker. Watch for increased live polling, tweeting, live streaming,and audience participation. Technology will level the playing field as speakers can now use inexpensive polling software on their mobile devices.There will also be an increase in virtual presentations. I'm coaching more clients remotely due to technology tools. Less Fluff More Value - Motivational speakers will always be popular as long as the human soul craves uplifting messages. But today's presenters need more than a string of 'feel good" stories. They must be able to provide value, tips, strategies, action steps, a different way of thinking along with those stories. Audiences are more demanding. Shorter Keynote Speeches - The 18 minute TED-like talk will become more commonplace. This is already happening at conferences. Instead of the one to three hour breakout sessions, event planners and audiences are opting for a series of shorter talks. Continuity - The old transactional model of giving a one hour presentation and then return to business as usual, will give way to the idea of continuity.The message will continue after the event or meeting with additional contact and add-on resources. Despite the fact that younger audiences are leaving facebook, social media will continue to be an important communication channel for staying connected. However, people will consider the return on their time and become more focused and narrow in their social media communication. All of these trends can be summarized in one idea: Public speaking is more important than ever. The need for excellent presentation skills is not going away. It will only increase in 2014 and beyond. Just as with technology upgrades,presenters will upgrade their public speaking skills or risk becoming obsolete. How You Gonna Keep 'Em Thinking of You After They Go Back Home? There's a line from a World War I song: "How you gonna keep 'em down on the farm After they've seen Paris?" When you finish your presentation and your audience goes back to work, do they carry your message with them? Do they still hear your voice? Recently I received a call from a woman who heard me speak 10 years ago and wanted to hire me to coach her. Neither of us could recall where we met. She forgot the name of the association. It could have been anywhere. What she did remember was me. She said my message was "...memorable, powerful, and convincing for female leaders." What made her contact me now and not then? She wasn’t ready. People buy on their own timeline, not ours. What kept my message in her mind was my monthly newsletter, The Science of Speaking. The goal is continual communication. Do you stay in touch with the people who hear you speak? I keep in touch with my audience through email messages, newsletters, phone calls, video messages and greeting cards (<< click the link and send a card for free). You can do the same for your network. Be memorable, convincing, and powerful in your presentation. And then stay in continual communication. Like the lyric from the 1984 Rockwell song, “Somebody’s watching me,” you never know who’s watching, listening, and reading you. The dream of most professional speakers is to be represented by a speaker bureau or lecture agent. Unfortunately, professional speaking is like the acting industry. You can't get an agent until you're known. Bureaus have more than enough speakers. What they want most is more clients who will hire their speakers.But, if you have a unique and compelling message and a track record of excellence they may take a chance on you. What is a speakers bureau? It's a middle man, or broker, for speakers and entertainers. They market to corporations and associations and match them with the perfect speaker for their event. They take an average 25-30% commission from the speaker's fee. The bureau or agent owns the client and any spinoff business. a.) Scrutinize your price and get it right. b.) Have a written policy under which conditions you'll alter your fee. c.) Measure the gap between your fee and what you actually book each month. When you say you won't lower your fee, the average response from the buyer is "I had to ask that question." Brian tells his clients if they want the speaker to lower the fee, they must put the offer in writing. "Make me an offer". It changes the equation. Have no more than three topics with great titles and descriptions. You can test topics, but don't list a bunch of topics. Customers care how you dress, how you speak, how you listen, table manners, interacting with the audience, your behavior. Be extra polite. It matters what happens off the platform. Companies want you to be aspirational. 3. Missed or ineffective pre-conference calls. Brian calls these "hurdle raisers". Most of the time the conference calls are missed by the speaker. Don't do it. Prepare for the call and don't use a cell phone. The number one issue is talking too much when being briefed. It's important to be excellent on those calls. Be lively. Brian lost his client because the speaker was a "zero" on the phone. Companies bring you in to achieve some business end. Build your business around helping them achieve their goals. They don't hire you to hear what you have to say. Asking three times on the phone if they want to buy books is a bad sign. Don't go over their heads. He cited Joe Calloway as someone who gets hired over and over again. Joe gets brought in for consulting after his speeches. Don't ask before you go on stage if you can mention your book. When you pitch, it takes away from your message. And, Brian cautions, "Don't add people to your mailing list unless they ask for it". How you answer the phone, your responsiveness, impacts whether a bureau wants to represent you. Show up, be on time, be prepared. 7. A presentation that does not include both head and heart. Phyllis Diller analyzed her laughs. Motivational speaker, Walter Bond, aims for less than a minute between big laughs. Every two or three minutes there should be a laugh. It could be a nodding moment, but there must be an emotional connection! 8. Poor quality demo videos. A speaker demo video should be longer rather than shorter. A three minute video scares people. Include audience shots and enough footage so the client can see a flow. Customers want an excellent speech. The goal is to have a great video of a great speech. Brian mentioned Amanda Gore's 2004 preview speech as being one of the best. It was 20 minutes long and there was a thunderous ovation at the end. People want to hire smart people that happen to speak. It's not good to have a website that's filled with speaker poses. Your website should not look like a speaker site. While there may be many opinions about how to work with speakers bureaus, Brian gave the audience some good food for thought and valuable tips for developing a good relationship with speakers bureaus. Fear of public speaking continues to be a top fear for both men and women. 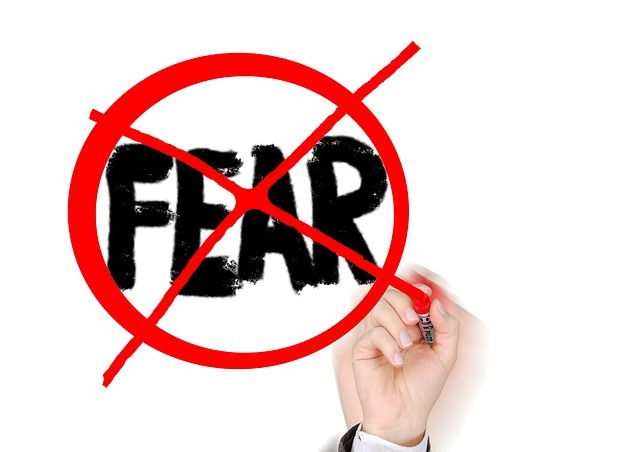 Overcoming public speaking fear is a must for anyone who is serious about success. I know a lot about boosting public speaking confidence. I use a number of techniques to help my clients master public speaking and overcome their fear and anxiety. In the 20 years I've been in business, I've utilized many approaches including breathing, NLP (neurolinguistic programming), acupressure, etc. But for the first time, there is a technique that never occurred to me. According to a study in the May issue of the Journal of Experimental Social Psychology, women and men each spoke before an audience. The researchers placed a picture of Bill Clinton on the back wall in one room and a picture of Hillary Clinton in another room. Some back walls were blank. The women who presented in the room with Hillary's picture on the wall performed better and gave longer speeches. The evaluations were more positive for the women who spoke in the room with Hillary's photo. This study takes the impact of female role models to a whole new level. While I don't recommend simply pasting Hillary's picture on the wall and expecting a standing ovation, presenters who've worked on their speaking skills and still feel anxious may benefit by imagining their role model. To read the entire article, click here. What's Executive Presence Gotta Do With It? What is executive presence? And why does it matter? You know it when you see it. But it's difficult to describe. At some point a career will be stalled because the person doesn't look, speak, or act like a leader. That's when a company will call me to work on the leader's executive presence. Executive presence is the tipping point for getting promoted. How do you get it? Watch this video to learn more. New York (March 21, 2013) -- Diane DiResta, founder and CEO of DiResta Communications, Inc, was selected by the Financial Women's Association to be one of three speakers at their 12th Annual Executive Coaching Summit on Thursday, March 28 at 5:30 (sessions run from 6:30 to 8:00pm). DiResta will present her speech, entitled “Speaking With Impact: How to Be Clear, Commanding and Confident,” at the Credit Suisse offices on Madison Avenue in New York City. I read an interesting story written by Deborah Grayson Riegel, who was giving a presentation at the Bronx zoo. In addition to her human audience, there were 20 monkeys outside with their faces pressed against the window, watching her presentation. Each time she advanced her PowerPoint slide, the monkeys would bang their fists against the window. Eventually, she had to let go of her PowerPoint presentation, and stopped changing the slides altogether. Most of us are not going to be speaking at the zoo, but we will have our own monkeys to deal with - the usual cast of characters known as a difficult audience - hecklers, people causing distractions, zoning out, and generally interrupting your presentation. It's important to be flexible and work with your audience. Speaking of monkeys... someone recently threw a monkey wrench into my half day presentation training workshop, which was scheduled from 1:00 - 4:00pm. We were told that four of the participants had to leave by 2:30. The program was designed to build speaking skills so the speakers would be prepared to give their final presentations at the end of the workshop. We had to do a quick redesign on the spot - in 5 minutes. My partner and I huddled and came up with a plan. The goal was to give each participant the opportunity to present, leave on time, and still gain enough learning to succeed in their next presentation. It worked. In public speaking, as in life, we always need a backup plan. Deborah had no choice - the monkeys forced her to stop using PowerPoint. Your audience may be more subtle, but good public speakers pick up the nuances and can change in a moment to better serve their listeners. Technology will fail. And an audience can quickly tune out. We need to be able to go where the current is taking us. That's the mark of a professional speaker. TED.com stands for technology, education, and design. Some of the top and most innovative public speakers can be seen on youtube giving an 18 minute presentation on new and creative topics. It's very competitive to get a speaking slot at a TED.com event, so many presenters are opting to organize and speak at local events called TEDx. I recently attended the TEDx Silicon Alley event in New York City. The theme was "Rise of the Machines," but what stood out to me was the connection between technology and human presentation. One of the presenters, Ken Segall, represented the agency that worked with Apple. He was the man credited for naming the iphone and ipad. He spoke about Steve Jobs and his focus on the simplicity principle. The presenter showed an effective ad for McDonalds coffee. It stated: Any size for only $1.00. It was elegant in it's simplicity. Da Vinci said, "Simplicity is the Ultimate Sophistication." I continue to focus on the K.I.S.S. principle when I speak to audiences. Whether you say Keep it simple stupid, or Keep it super simple, it's not easy to do. When I coach public speakers I tell them to create a short and long version of their presentation. They discover that's it's easier to create a longer presentation. As Ken explained, "Simple can be harder than complex". My clients realize they have to work harder to get the message clear enough to be simple. They quickly learn that I act as "the lowest common denominator". These presenters must be able to speak so that I understand the message without being an expert in their industry. One presenter told me that when he worked in a law firm they would give a memo or letter to the assistant to read. If she didn't understand it, they rewrote the letter until it was clear. The more complex the idea, the crisper the message needs to be. This is especially critical when speaking to the media. Professional speakers have a harder time with media training. Motivational speakers are master storytellers so they must make a shift in their presentation. I show them how to speak in sound bites. The average sound bite is about 10 seconds. If it's not short and simple, it won't land and the audience will check out. Many of the TEDx Silicon Alley speakers focused on technology, from text to speech to algorithms to flying robots. Whether it's face-to-face or virtual, we can't get away from the need for good presentation. How do you tie these two worlds together? The thread that runs through both is simplicity. Steve Jobs said it best when he said about simplicity: "it's worth it in the end because you can move mountains." When I first started out in my speaking business, I was hired by American Management Association to give public seminars in public speaking and presentation skills. One day, the program director sent around a memo stating that all AMA presenters were expected to arrive early to the class. It was not acceptable to show up at 9:00 a.m. What? Who would do that? I always arrived an hour early. To be a good public speaker or presenter, you need time to set up the room. When the curtain rises on a Broadway show, all actors are in place. But they don't show up 5 minutes before curtain call. There is a lot that goes on behind the scenes of any performance. In addition to getting into costumes and makeup, actors warm up their voices and review their lines and staging to make sure they get it right onstage. The same is true for public speakers. As a keynote speaker, facilitator, or trainer, you are giving a performance. What happens before the presentation is as important as the live presentation delivery. Master public speakers know that successful speaking is 90 percent preparation and 10 percent delivery. So the next time you give a speech or presentation, arrive early. Practice the presentation in the empty room. There's something about getting the feel of the room that can boost your performance. Use the time to do some deep breathing and to visualize a positive outcome. And then get ready to greet every person who enters the room. This will create a positive tone and talking to people before your speech will reduce nervousness. It will also help the audience feel comfortable with you. Next time you're tempted to breeze in at the last minute, don't! For a free checklist on what to do before, during and after a presentation, our facebook page. Josephine "Jody" Prestovino single-handedly brought missing federal supplies to Staten Island, New York by using her voice. Jody lost her home during hurricane Sandy and spoke on behalf of her own community with no media training. She looked directly at the camera and said, "Obama promised to cut through the red tape, but we've seen nothing. Nobody is here." It's because she spoke with conviction and passion that she had an impact. Because she spoke out, supplies started coming in. Janet Napolitano wanted to speak with her personally. My husband and I ran into her in a local coffee shop in Staten Island and congratulated her on her leadership and presentation. Everyone is a leader, everyone is a public speaker - when you speak from conviction and passion. When you do a good job as a public speaker or presenter, you'll be invited back. Such was the case for Jody. You'll see in this video the reporter asks her opinion. Her emotion and passion are still evident. Where do you feel great passion? That's where your power lies. Speak from that place and you'll move mountains. It only takes the power of one voice. The first presidential debate on October 3, 2012 belongs to Mitt Romney. It was a clear win in terms of content and delivery. Both candidates began cordially and gracefully. The President acknowledged his wife on the evening of their 20th anniversary. Mitt Romney also congratulated him and quipped about how Obama probably didn't want to spend a romantic evening on stage with him. Both candidates are skilled public speakers. They each looked presidential but Romney owned the room with his rapid fire responses, his knowledge of the facts, and his aggressive approach. He seemed more relaxed and natural and was finally able to humanize his image by talking about people he had met on the campaign trail and correcting any inaccuracies about his policies. What was especially effective was his ability to speak crisply as he quickly enumerated three to four points he wanted to make. He made direct eye contact with Obama and his passion was evident. Gone was his robotic delivery. What was missing last night was President Obama's trademark confidence. He looked downward as Romney was speaking. His body language was weaker than expected and he would have been better served by standing with his shoulders back and making direct eye contact. He still needs to speak more crisply to be more impactful. The real loser in this debate was Jim Lehrer, an accomplished journalist and moderator who seemed to be off his game. He acknowledged they had gone over their time and Romney seemed to take advantage of Lehrer's loose time-keeping. As in any speech, or media presentation, public speaking skills are very important. But visual images can send a strong message. At the end of the debate, Michele stepped on stage to greet her husband. At the same time, Romney's wife and five sons joined him on stage for a victory hug creating an image of strong support. Romney won the first debate on domestic policy. Will he be able to keep the momentum in the second debate? Will Obama rise to the challenge? What do you think? The political stage is a fascinating study of the power of the presentation. When it comes to public speaking and media training, Romney has two areas to address. Unless he can improve these two areas, he will plummet in the polls. The first area is language. Romney's recent remarks which were secretly recorded have been replayed continuously in the media. He stated, "There are 47% of the people who will vote for the president no matter what." If Romney had made that one statement his presentation and media image may have been salvaged. His presentation derailed with this next statement. "There are 47% who are with him, who are dependent on government, who believe that, that they are victims, who believe that government has the responsibility to care for them. Who believe that they are entitled to health care, to food, to housing." His first statement that 47% will vote for the president is a marketing decision. He's saying that's not his target market. In any campaign, the candidate or marketer will focus time, effort, and money where there will be the greatest return. In other words, he knows they're not his fans. The second statement felt like an attack and many people reacted negatively. Given that part of the 47% are elderly it sounded callous although that was not the intent. A good media trainer would advise him to quickly apologize for misspeaking and to reword his statement. The challenge for all politicians and any public speaker in the limelight is that the media can take one soundbite and kill your reputation. Persons in the eye of the media must remember that they are always being recorded and that even speaking one-to-one is public speaking. Remember when Jessie Jackson was a presidential candidate and made a religious slur in New York City? He was talking to an individual and someone in the crowd overheard him and reported it. Although he wasn't recorded, it had the same effect on his presentation and reputation. For the non-famous public speakers, once you leave the stage, you're forgotten. But if you're a politician the media will replay and spin your presentation into the stratosphere. The second area is delivery. Romney looks and speaks like an executive. But like Al Gore, he appears stiff. When he says he cares about the poor and middle class the message lands as facts rather than warmth. Yet, when he's on a talk show he's more relaxed and his personality comes through. As a public speaker he needs to enhance his presentation with more self disclosure, personal stories, and more effective language. When he speaks with passion and can convey caring he'll increase his ability to connect. These comments are non-partisan and related to the presentation of the candidate and not policies. What do you think Romney needs to do to improve his presentation in the media?